A little bit of Fudge and toffee and then some sweet floral notes followed by citrus flavours, predominantly orange, but there is a bit of lemon zest. Touches of Vanilla and caramel, but very light. 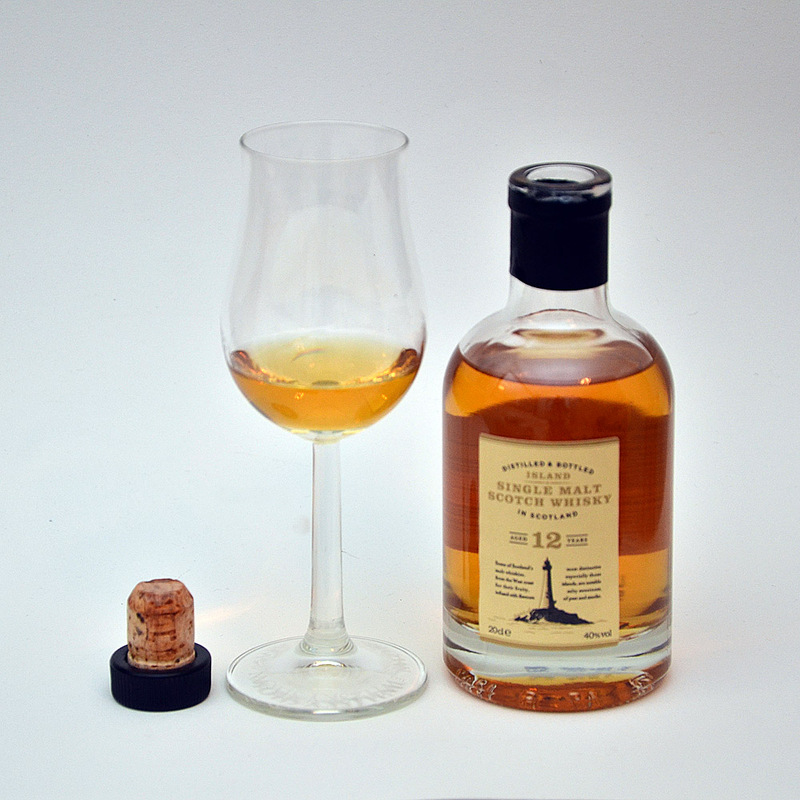 Vanilla at first with a creamy texture, smooth, but not too viscous, lots of marmalade citrus fruits, the sweetness on the nose isn’t prevalent on the palate, but the floral notes persist. Quite herbaceous. This is lighter than a normal Speyside and makes for easy drinking, It has enough complexity to be interesting, but isn’t to intellectual. 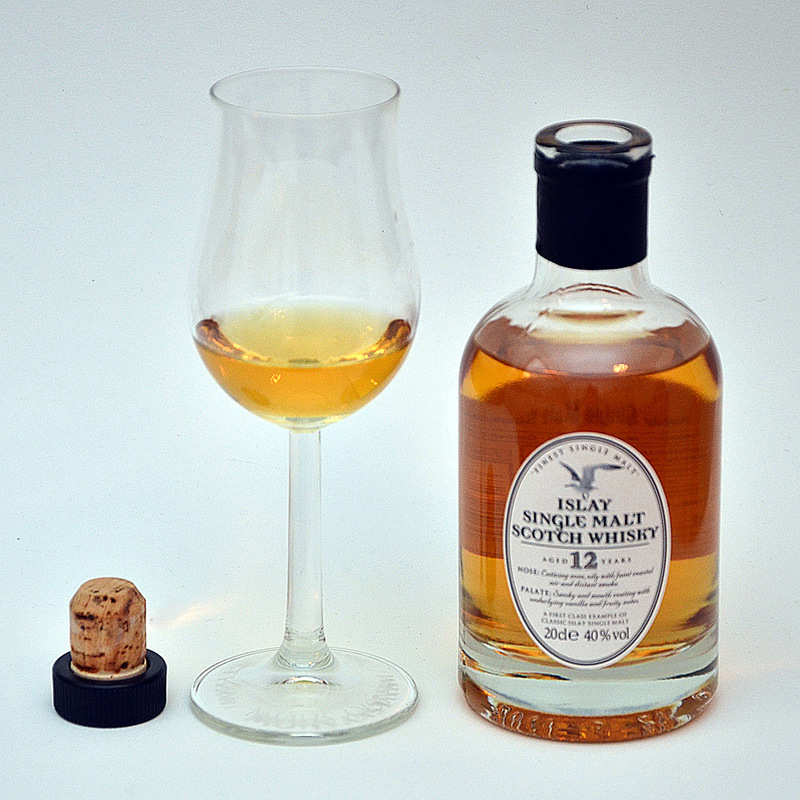 A good balanced whisky which without the inclusion of a lowland whisky in the four provided, a welcome addition. Quite closed on the nose. Apple crumble but not much sweetness. A little rubarb and some stewed black stone fruits. A bit of burnt caramel and butterscotch. 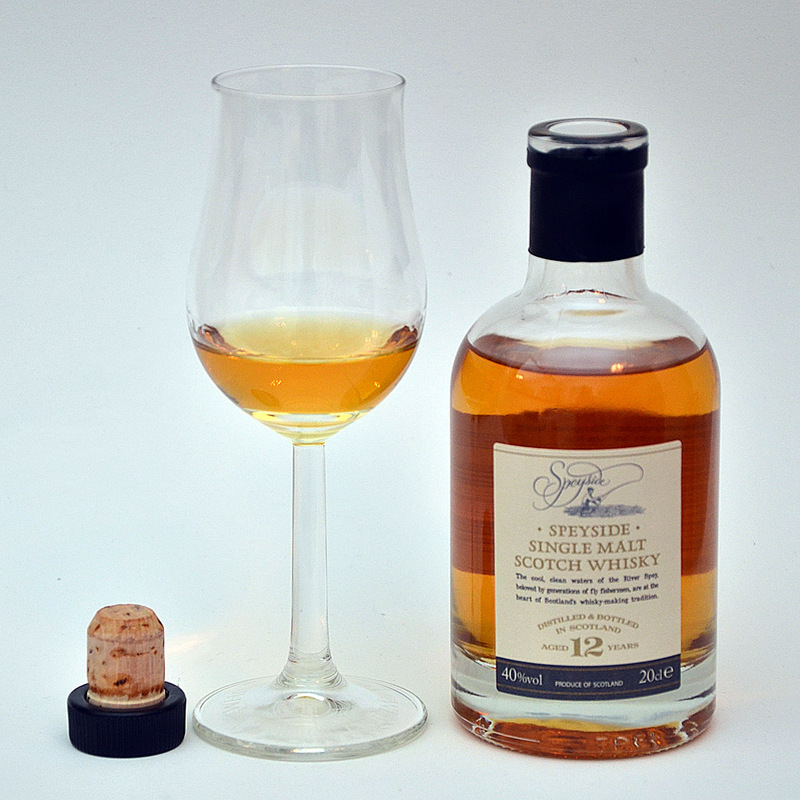 A deeper and more robust whisky than the Speyside, with stewed apples and pears. Some toffee, butterscotch and damson marmalade, a little aniseed right at the end. The damsons stay with you for a while then it becomes more herbaceous with lemon and lime zest peeking in at the end. A good everyday whisky, like the Speyside it has enough to be interesting, but not too much to complicate the casual whisky drinker. Light on the nose than expected, but makes up for it on the palate. Smokey and a little peaty, followed by used dockside lobster crates freshly brought in from the sea. Then lightly smoked fish like a sea trout, not too salty. Sweet at first, then the smoke and peat comes washing in in spades, very smooth. There is orange marmalade and then other citrus notes to follow. There is spice on the finish mixed in with a little honey sweetness and heather flowers. A touch of vanilla and caramel squeeze in at the end before you are left with a smoke and hearth ash. This is a much more complex whisky than the first two, lots going on. It is not unlike Talisker, and for me is the best whisky in the bunch, but then you have to like smoky and peaty. Soft and a little sweet at first, followed by some sea salt and tiny wafts of smoke and a little iodine and sweet peat. Sweet peat, not harsh in the slightest with a saltiness which has a sweet edge to it. Oily mouth feel. Like having porridge with a little sea salt and honey. Heather flowers and some lime rind and lemon zest. The floral and herbaceous nature of the whisky comes through, but is fighting through a layer of sweet smoke and honey, but eventually wins out, leading onto the citrus. The Island might be the best whisky, but this is the most loveable. 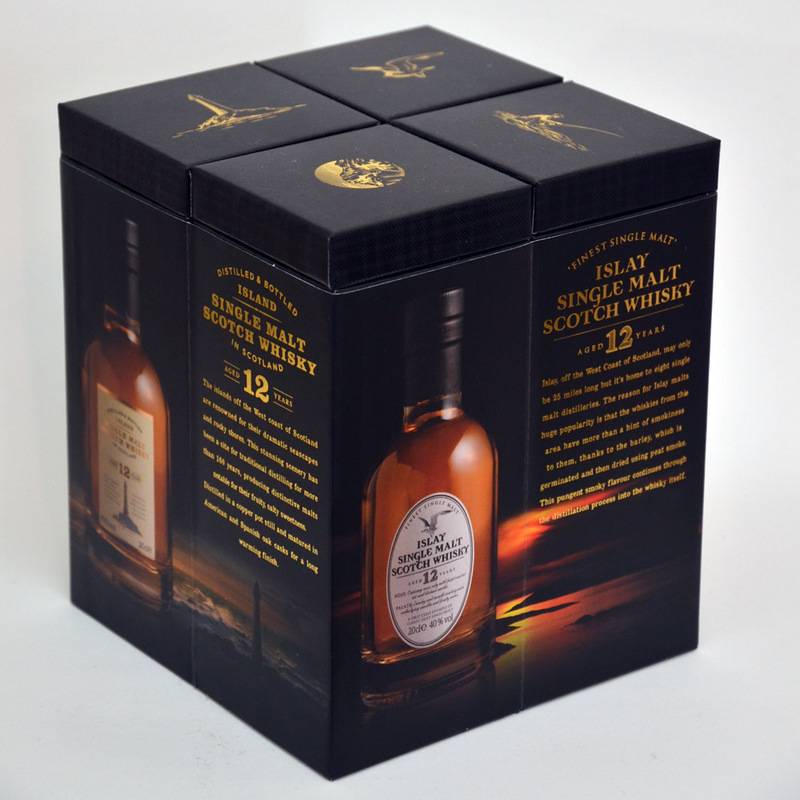 It has everything a Islay whisky needs. It is so well balanced, with each element adding to the overall mix rather than dominating. This might annoy a purist who enjoys a particular Islay malt, but for an all round whisky explaining the islands character, this is a winner. Although good, I was a little under whelmed by the Speyside, Warmed by the Highland, wanted to think about the island, and just loved the Islay. 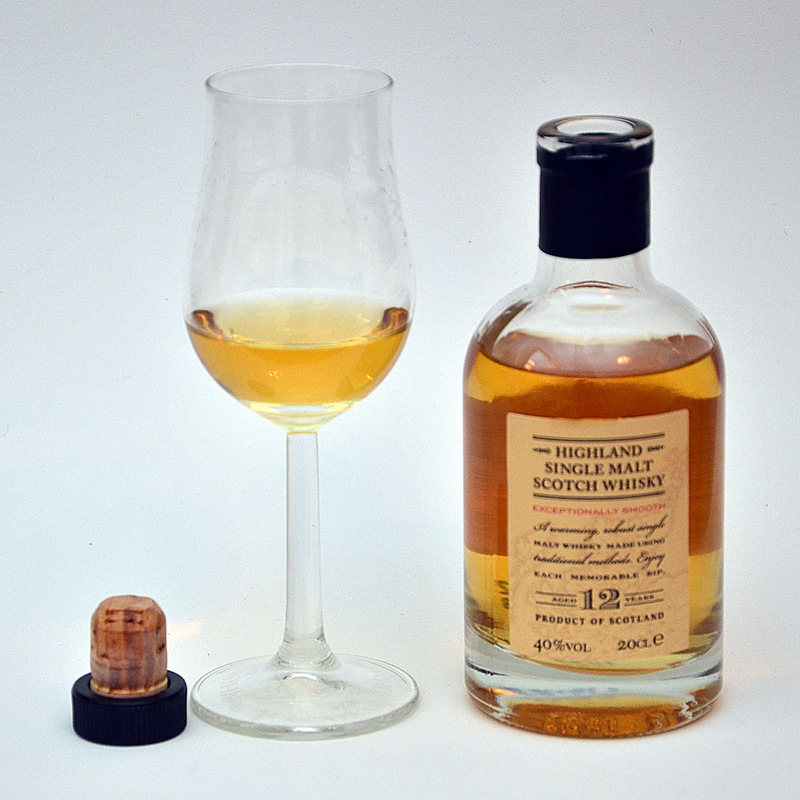 I found little to fault this little foray through four of Scotland great whisky regions. 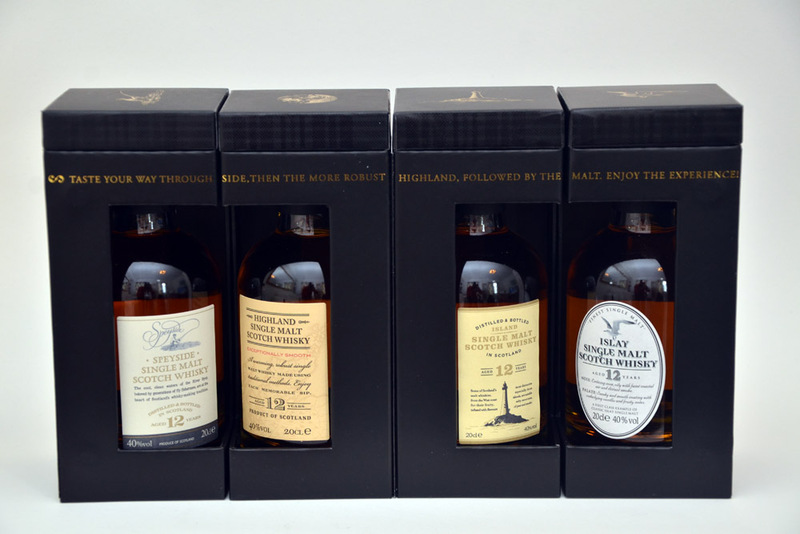 And even though region seams to have less and less to do with exact regional flavours these days, these whiskies give a very good display of the range of flavours and excitements on offer. 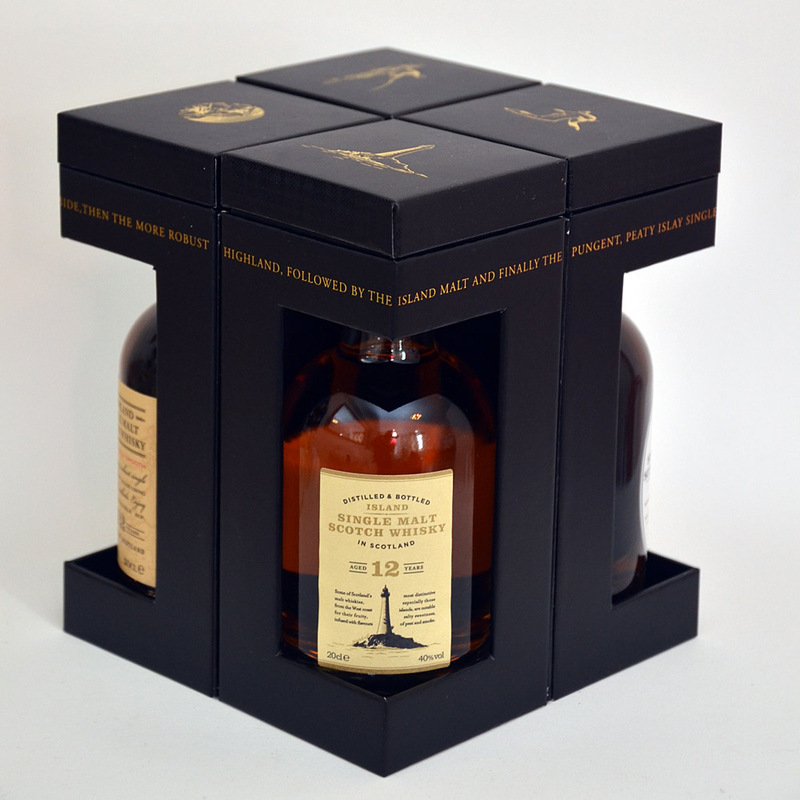 Beautifully packaged with a clear message as to what the set is all about, at £50 I think this makes a great addition to the multitudes of Christmas gifts on offer, and one would hope it continues into the new year, for whisky drinkers who need a little taste of what makes up Scotland’s malts from time to time, and even for those who are well versed in Scottish Malt and just want an easy drinking dram giving many of the atributes of the regions they represent. This entry was posted on November 25, 2012 by Champdenwhite. It was filed under General Tastings, Uncategorized .